Native of Aries Ascendant can wear three kind of gemstone : Ruby, Coral and Yellow, Sapphire (Topaz). The native who wear Ruby are bestowed with progeny, education of children, progress of children career and they get success in competitive tasks. While wearer of Coral enjoys with physical fitness, attractive personality, hidden wealth and he becomes effective and authoritative person in the society. Similarly when a native wears top (yellow sapphire) luck improves his interest in religious activities, takes trips to prilgrim places, marital happiness, wordly comforts, foreign tour. The natives whose ascendant is Taurus can wear Ruby, Emerald, Diamond and Blue Sapphire. The Ruby wearer gets land & property and promotion in business while the wearer of Emerald is bestowed with wealth, peace in family, benefits and happiness of children. The native who wears Diamond is the beneficiary of sound health, repayment of loans, victory over enemies and the weaver of blue sapphire becomes lucky as well as gets the business promoted and promotions in service etc. Auspicious and beneficial gems for Gemini Ascendant are moon stone, emerald, and Diamond. The native gets money and wealth, peace in family affairs by wearing of moon stone while the wearer of emerald is bestowed with good health, land & property, mother’s sound heath and happiness from mother. On the other hand the natives who wears Diamond gets the benefits of progeny, children’s education, foreign travel and trade and marital happiness. The lucky gemstones for Cancer Ascendants are moon stone, Topaz and Coral. They have sound heath and attractive personality by wearing moon stone while the natives who wear topaz blow in booms by luck. They gets successes in business, service, progeny and competitive examinations when they wears coral. The Natives whose ascendant is Leo are advised astrologically to wear Ruby, Topaz and Coral. The person who wears Ruby enjoys with effective and attractive personality, sound health and witty and intelligent mind. The native who wears coral gets the benefits in family matters as well as in monetary aspects. He also gets developments in land and property while wearer of Topaz enjoys marital life. Success in love affairs and his faith in religion increases. Emerald and Diamond are the lucky and beneficiary gem stones for Vrigo ascendant. The native who wears emerald is bestowed with sound health and sound body, government job, prestige, progress and promotion in business etc. while Diamond wearer gets monetary benefits in his transactions and luck favours him in his tasks. He may get ancestral property also. When a native of Libra Ascendant wears Diamond, emerald, moon stone or blue sapphire, it makes him very lucky astonishingly. Moon stone increases business, Diamond given success in love affairs and marital happiness, emerald is the key for getting benefits in education and examinations while blue sappier may be responsible for vehicle, land and house comforts, mother and progeny happiness etc. Gem stones for Scorpio sign. are Ruby, Topaz, Moon stone and Coral. The Sun is the disposition of career and occupation of the natives having Scorpio ascendant. They will be benifitted with progress in business, success in career and service and increase in prestige and honour by wearing Ruby while they get wealth, success in education and interest in religious activities when they wear topaz. Moon stone makes them lucky and coral give them sound health as well as victory on enemy and opponents. The natives of this ascendant become lucky if they are fond of wearing topaz, coral and ruby gem stone. Topaz give honour, prestige, authority vehicle comfort, assets, land and property, ruby wearer enjoys cumulative progress and the native of wearer of coral is bestowed with bed-comforts (sexual pleasures), foreign travels, sound health, education and favourable results in children academics career and their education. Saturn is the Lord of this ascendant, hence a blue sapphire gives good health, attractive personality and wealth to the native. They can wear emerald and Diamond also. If the native wears emerald, he wins his enemies and his lucks starts to favour him, and on the other hand if any of Capricorn ascendant native wears diamond, he will be benefitted with educational successes and favour of govt. in his tasks. Blue Sapphires, Diamond and Emerald are the auspicious gemstones for the natives whose ascendant is Aquarious. Topaz, Moon Stone and Coral gems tones are considered auspicious and lucky for Pisces Ascendant natives. Topaz wearers enjoys with sound health and body, teaching career and service while the wearer of moon stone gets peace of mind, success in love affairs, happiness of children. They becomes lucky and beneficiary of land and property, wealth and ancestral property. 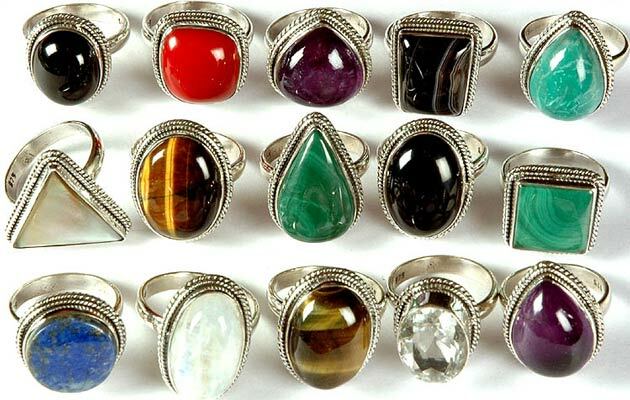 On the basis of above description given about gem stones, it may be worth while to mention here that these gem stone have been recommended and advisable only in the light of astrological principles and guidelines.